Travel and food are inseparable. One of the best ways to learn about the culture of the country is to immerse yourself in their food. A country’s culinary traditions and signature flavors tell valuable stories: their history, ancestry, and innovations. Tokyo boasts of having one of the most number of Michelin-starred restaurants. Japanese food is a mirror of its culture; it is both traditional and trendy. Visit the world renowned Tsukiji Fish Market and have freshly caught sashimi for breakfast. It’s worth waking up at 4AM to see and taste this unique experience. 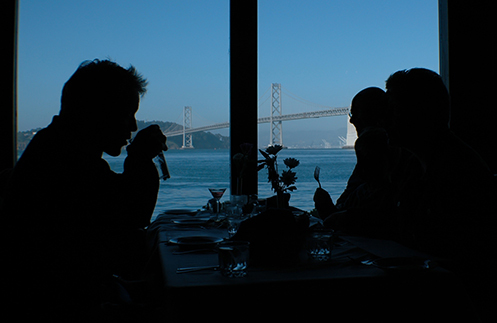 With its diverse culture and cuisine, San Francisco can definitely be considered as a melting pot. Its multi-cultural population gives you fantastic Spanish/Mexican food on Mission Street, delicious French cuisine in Napa Valley, and everything else in between. A big plus: the Bay Area is the hub for the organic and farm-to-table movement. Fresh, seasonal food awaits every tourist who visits. Macarons, baguettes, crème brulee–these famous French eats are favorites around the world. History, food, and fashion merge in this city to give you a sophisticated blend of cultural flavors. With different countries bordering France, French food is deliciously different in every province, having been influenced by Italian, Spanish, and even Moorish settlers, bringing in their exotic ingredients and recipes. Food in Spain is regional. Even if they use the same basic ingredients, the gambas in Galicia will be different from the gambas served in Andalusia–very much like the adobo of the Philippines. There is not one national recipe for it. Next time you go on vacation, don’t just think about the shopping and the bargains. Whether it’s in Europe, Asia, or North America, experiencing the different cultures through their unique cuisines is a memorable and delicious way to expand your horizons. Just imagine the amazing stories and brand new knowledge you’ll be bringing home! If you miss those days abroad, recreate memories in Spain with Bacalao or go Japanese with a simple Pork Tonkatsu dish. Check out Del Monte Kitchenomics for more recipes.